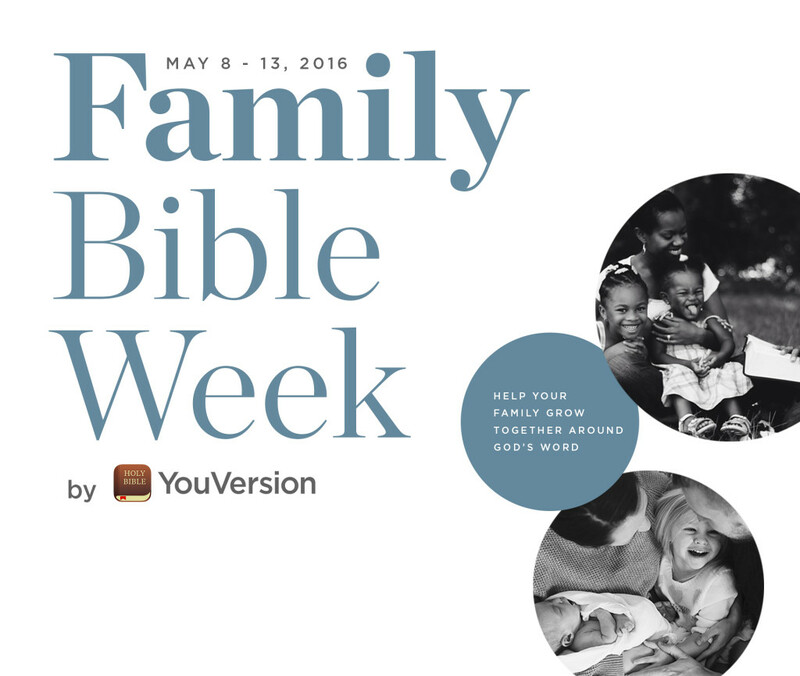 Beginning Sunday, May 8, Family Bible Week is our annual celebration to help your family grow together around God’s Word. You’ll get free resources that your family can use to encourage one another. We’ll share our favorite tips for how you can lead your family spiritually. Along the way, we’ll even award some fun prize packs that families can enjoy together. Delight the special Moms in your life with lovely Bible art made specially for them. Discover which Bible Plans we recommend for families to experience together. Learn how your family can become “that” family — the one that inspires others. Begin planting seeds today that will yield fruit across your family for generations to come. Find out the role that fun plays in fueling your family’s faith. If you don’t already have a YouVersion account, then you can sign-up for one to receive our emails and follow along with Family Bible Week. You can also check back with our blog as well as our social media to follow along each day of Family Bible Week.